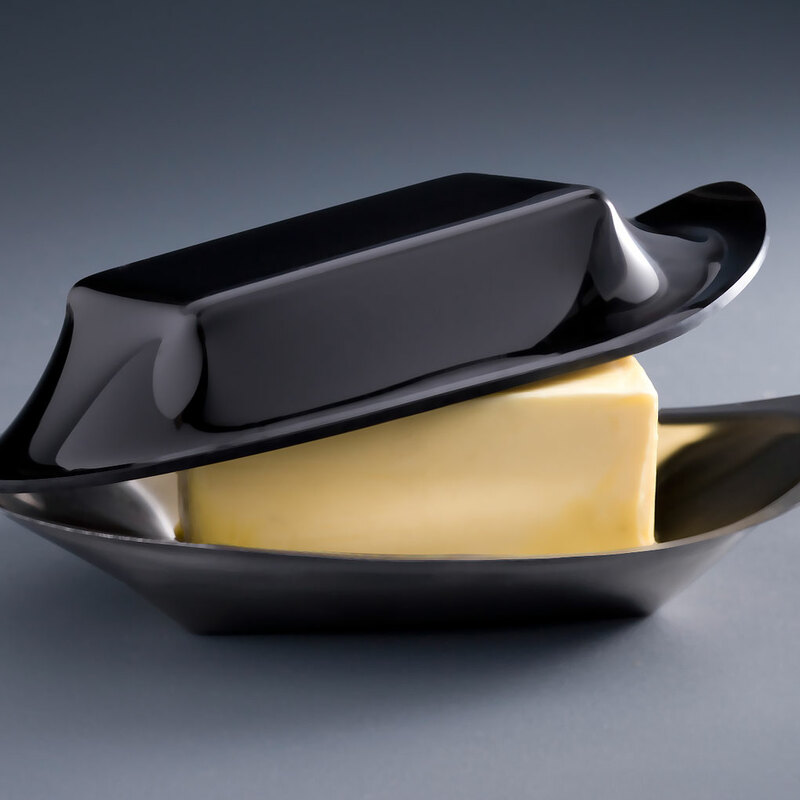 A modern take on this tableware essential, the fluid lines of this butter dish tease with the idea of it melting before our eyes. This is quintessential, ironic Foster: taking the textural properties of the substance – “soft as butter” – and interpreting that alongside “hard as steel”. Foster drapes the Perspex lid over an illusory butter shape – is it hard or soft? The gentle curve where stainless steel base and Perspex lid meet echoes a hand spreading butter with a knife, complete with a flourishing flick at the end. This is yet another masterful resolution of design with functionality – the flick serves as an easy way to hold the dish and the lid. The F!NK butter dish accommodates the dimensions of both continental and Australian butter pats. The stainless steel base comes with a Perspex lid in (of course) butter yellow, black, frosted white or transparent deep blue.